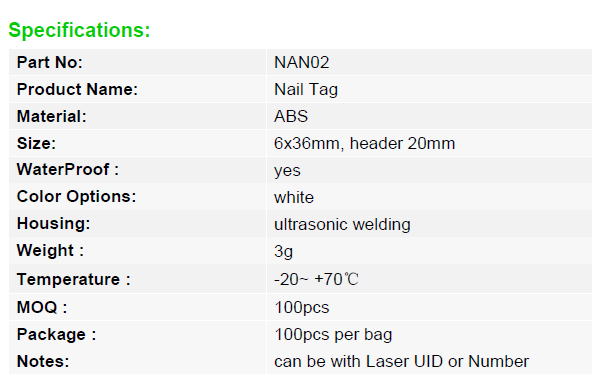 Click the button below to add the NAN02 - RFID Nail Tag with EM, NTAG213,MIFARE® ,UHF to your wish list. of wood, it is rust-resistant in wet and chemical environment. 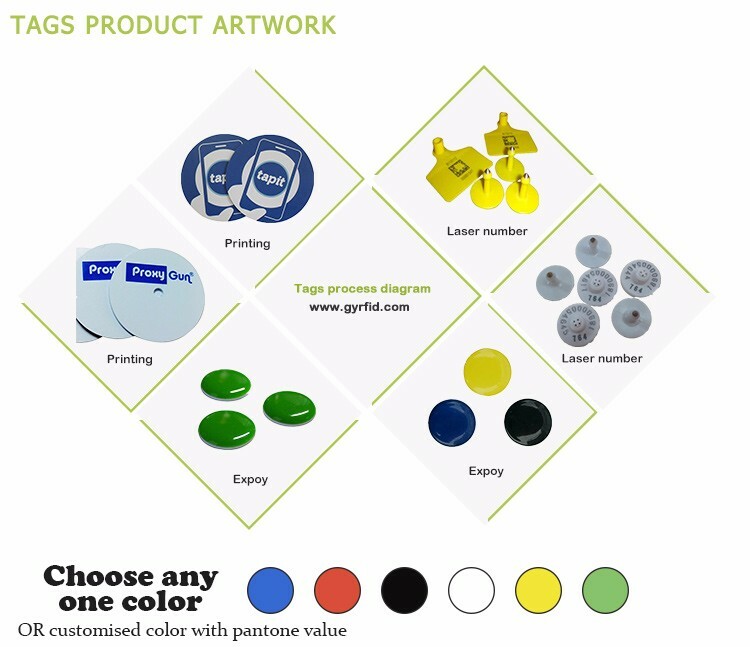 It is particularly used for supply chain management, property tracking, wooden tracking etc.